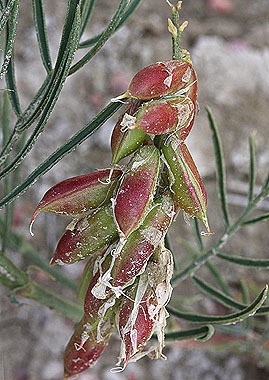 Astragalus pectinatus has long (2 to 5 cm), curved linear leaflets. White flowers hang in a raceme. Plump fruits become woody at maturity. 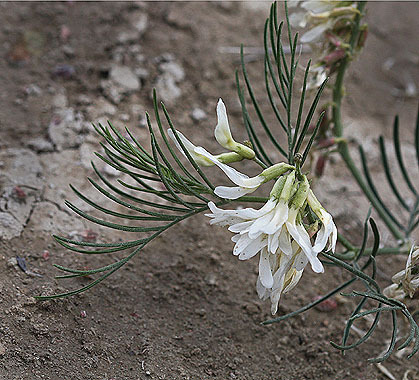 Narrowleaf Milkvetch grows on dry sites on the eastern plains and northwest Colorado.